Added on October 15, 2014 by SINC. Thanks so much everyone, I really can’t state that enough, and please, keep spreading the word. The first few days were amazing, momentum remains, but we still have the better part of a month ahead of us. All of your continued support and enthusiasm will be what carries us through. Added on July 31, 2014 by SINC. "A collector’s existence is tied "to a relationship with objects which does not emphasize their functional, utilitarian value—that is, their usefulness—but studies and loves them as the scene, the stage, of their fate.” Everything about the object—the craftsmanship, the period, the region, the former owner—everything remembered and thought about the object adds up to its magical fate, and the most profound experience is its acquisition, and furthermore, its transmissibility." - Walter Benjamin. "Unpacking my Library"
Added on July 29, 2014 by SINC. Unfortunately I have a ton on my plate and very little time to care for or handle print orders. The shop will most likely be down until the end of the year. Sorry guys. Stay posted. Thanks for the support. White Walls group show open now! Added on May 12, 2014 by SINC. The site will be getting an update very soon! Pardon any pages in flux. Exciting news inbound. Announcements and fresh content ASAP. Added on February 1, 2014 by SINC. Several International shipping options are now available, and calculated at a flat rate to cover the USPS estimates I was given. If you do not see a shipping option that covers your region, please email me and I can get one added for you. Cheers! Please contact me ASAP if the site doesn't seem to be allowing you to place an order with items showing stock. This automated shopping cart and order form is a new way of dealing with art for me, and I would appreciate any input helping to make the transaction process smoother based on your experience. Cheers guys! Thank you so much for the support. Added on January 10, 2014 by SINC. I will not be taking preorders or holding reserves for these editions. First come first serve. Also, I am not set up to calculate or receive payments outside of the United States at this time. Please email me directly if you wish to purchase prints from a location outside of the United States, and we can see about making something work. 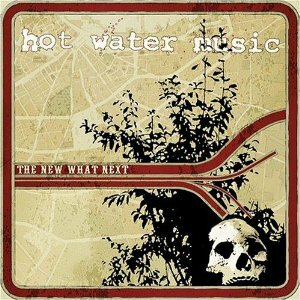 It took the rest of us hooligans, far too long to understand why we had lost a brother in arms, and wake up to the bad scene we had spent far too much time cultivating. The specific imagery of the boy scout, the rabbit head, and the bone identify the “good guy” in our story. "Taller Men Know the Wind"
This painting is for my Father; a man who has dedicated his life to the education, provision, and protection of others. He is the keeper of our heritage, a true contributor to this world in which we live, and someone that doesn't always receive the respect he so richly deserves from this family he tirelessly shields. Image Kind Prints now Available! Added on August 29, 2013 by SINC. The default styles for the "Framed Prints" are set to my preferred/suggested materials and dimensions. Feel free to edit the selections to taste. I have sampled these prints direct from Image Kind to verify the quality and materials ImageKind uses. The final products are exquisite! The frame is an ECOCARE 2-inch Black wood. This basic black frame features a classic squared look with straight edges and deep boxy profile and wide face. The materials used to make this frame are also environmentally friendly! The mat is a gallery, pure white fabric, tightly woven for a smooth finish. Added on August 14, 2013 by SINC. 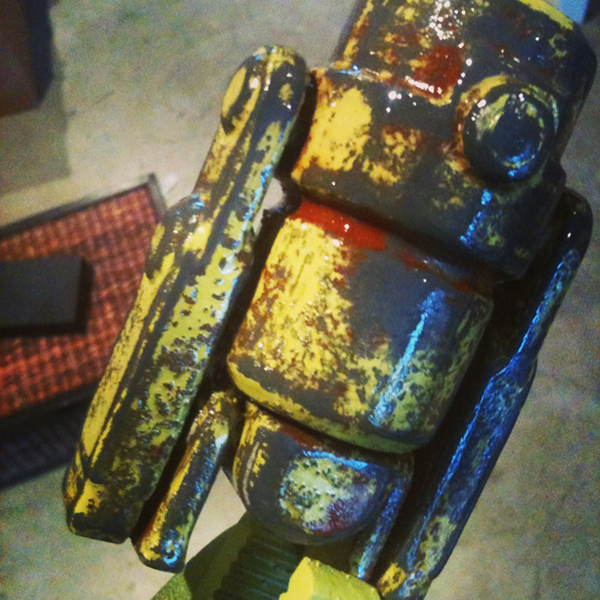 Let me come right out and fully admit that this is absolutely a poor man's rip-off of a Ashley Wood/3A Robot. 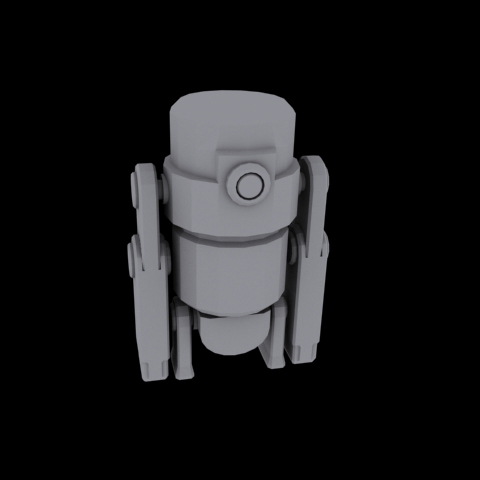 My desk is covered with 3A vinyl, and simplifying one of them in spirit seemed like a fine, low poly, idea for my first 3d printer experiment. I was really interested in answering a few questions that were plaguing me as I thought more and more about 3D printer application. What type of surface does the texture of the material create? Was the material solvent with specific chemicals such as acetone? How would the paint stick to the surface of this strange substance? Not a total disaster but far from perfect. Check out the printer here. Added on August 13, 2013 by SINC. Experimenting with acrylic glass sheets and solvent cement, I created a landscape of layers that shift and shadow at different angles. The subject matter is a blend of multiple environments - influenced in part by the roof-deck skyline of our space in Dorchester and the narrative influence of "day job" content. 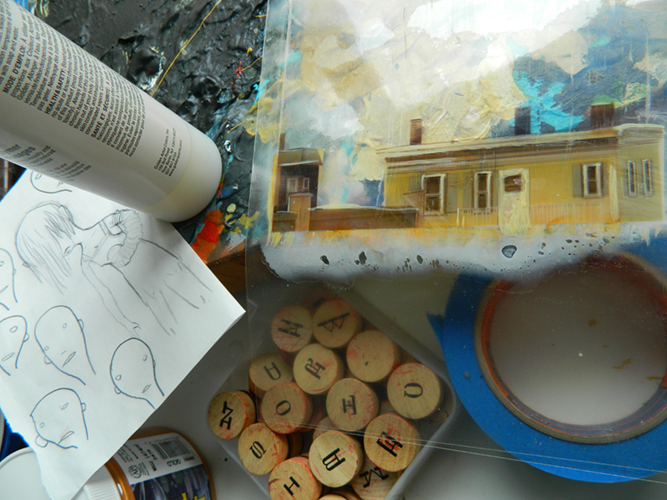 My intention was to create layers as clean as the glass they were painted on. When when stacked together the chaos created a dirty multifaceted depth I could not fully control. I did not prepare for the challenges that come with fusing layers of glass together like a toxic Oreo. I wish I could say this piece turned out the way it was intended to. Step 1 - Purchase a Graphic Artist Guild Handbook! Added on August 12, 2013 by SINC. 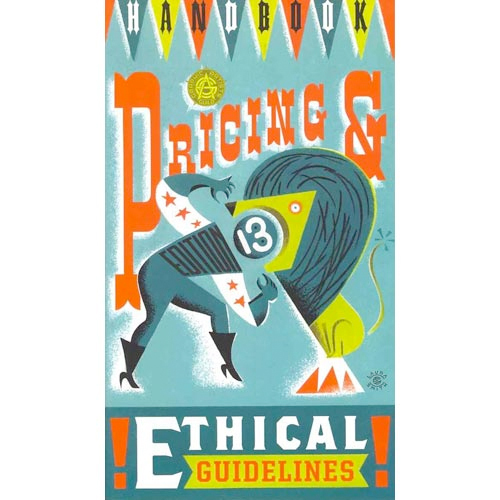 One of the most valuable pieces of advice imparted to me by faculty at Ringling, was to purchase and reference the Graphic Artist Guild Pricing & Ethical Guidelines Handbook. This book will help you learn to price your work and time according to the industry standards as well as help you to navigate the complex sea of usage rights, quarterly tax submission, kill fees, and client contracts. A must buy for the fledgling freelance artist. Added on August 9, 2013 by SINC. 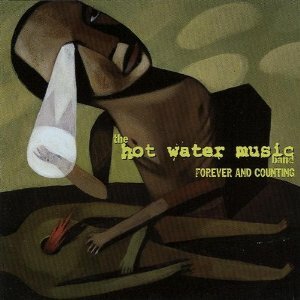 Wiki links for Hot Water Music records feature art by SINC.